How to Play UHD Bluray, 4K Video, HEVC/x265 on 5K iMac? On October 16, 2014, a new version of the 27-inch (69 cm) iMac was released, whose main feature is a “5K Retina” display at a resolution of 5120 x 2880 pixels, which enables users to experience everything on this display like never before. If you have some 4K Blu-ray movies, 4K UHD Videos, HEVC/H.265, you must can’t wait to enjoy the UHD movies in 5K display on iMac. And UFUSoft Mac Blu-ray Toolkit combines Mac 4K Blu-ray Player, Mac 4K Blu-ray Ripper and Mac 4K Video Converter into only one, which can help you play 4K UHD Blu-ray disc, Blu-ray folder (BDMV) and Blu-ray ISO, 4K UHD videos, HEVC/H.265, HD videos on 5K iMac with Mac OS X (macos Sierra, Mac EI Capitan, Mac Yosemite, Mac Mavericks, etc) and Rip 4K UHD Blu-ray disc, Blu-ray folder (BDMV) and Blu-ray ISO, 4K UHD videos, HD videos to MKV/AVI/MOV/MP4/WMV/MPG, etc on 5k iMac with Mac OS X (macos Sierra, Mac EI Capitan, Mac Yosemite, Mac Mavericks, etc). Method 1: How to Play 4K Blu ray, 4K UHD Videos, HEVC/H.265 on 5k iMac? To play 4K Blu-ray movies on your 5k iMac with Mac OS X (macos Sierra, Mac EI Capitan, Mac Yosemite, Mac Mavericks, etc), you’ll first need a 4k blu ray drive that can read the 4k blu ray discs. Apple’s SuperDrive won’t do it, if you already have an external Blu-ray drive. Connect it to your 5k iMac via USB. 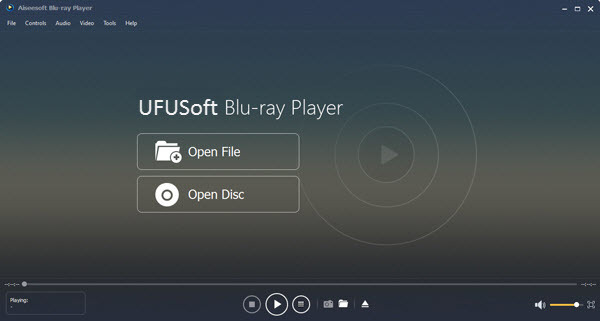 Download and install UFUSoft Mac Blu-ray Toolkit or UFUSoft Mac 4k Blu-ray Player. Run this 4K Blu-ray player application for 5k iMac. There are two buttons on the interface of the player. Click “Open Disc” button to movies from 4K Blu-Ray disc or click “Open File” button to load 4K UHD video, HEVC/X265 file from hard drive. When movie is loaded, you can play 4K Blu-Ray movies with with theator-like effect in 5k iMac with Mac OS X (macos Sierra, Mac EI Capitan, Mac Yosemite, Mac Mavericks, etc). Method 2: How to Rip and Play 4K Blu-ray Movies on 5k iMac? 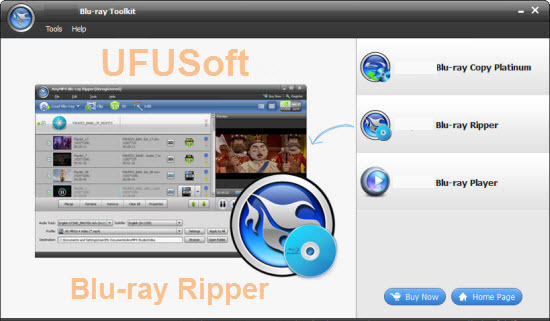 Download and install UFUSoft Mac Blu-ray Toolkit. Insert your 4K Blu-ray disc into an internal or external Blu-ray drive, Lauch the Mac 4K Blu-ray ripping program on your Mac computer, click “File” > “Load from disc” to load 4K UHD Blu-ray disc into the program. Click “Format” bar, from its drop-down list, for viewing Blu-ray movies on 5k iMac with QuickTime player, just output “MOV – QuickTime MOV(*.mov)” under “Common Video” main category. Step 3: Begin 4K UHD Blu-ray to 5k iMac conversion process. Clicking the Convert button on the right-bottom main interface, you can go to Conversion window to start conversion. After the conversion, you can click Open output folder to popup output directory with the converted files. Then feel free to enjoy your favorite 4K UHD Blu-ray movies on 5k iMac with QuickTime or transfer or stream 4K Blu-ray movies for watching on iPad, iPhone or Apple TV. How to Play, Rip, Convert Blu-ray on Windows 10? How to Play 4K AVI on Mac (iMac/MacBook Pro/Air/Mac Mini/Pro)? How to Play Blu-ray on Windows 10/8/7 LG Laptop? How to Upload Blu-ray to Facebook Video on Mac (Sierra Included)?